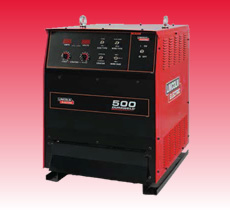 DURAWELD™ 350/500 is a new and highly reliable CV DC power source provided by Lincoln Electric. It can be used in various industries. Taking advantage of advanced control technology improves manufacturing process. It not only features superior performance but helps users set welding parameters precisely and weld more conveniently. DURAWELD™ 350/500 is produced strictly in accordance with IEC standard (IEC60974-1). IP23 ensures to be operated in harsh environment such as ship building, heavy steel structure. DURAWELD™ 350/500 is especially designed for GMAW including FCAW. 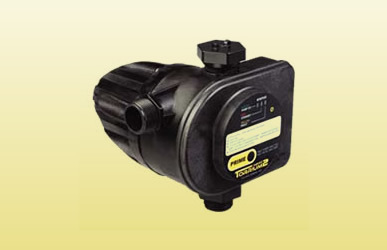 It has excellent CV DC output features when used 100% CO2 or mixed gas as protective gas. Adjustable switch is placed on front panel including 2T/4T option, crater voltage and crater current. Independent DIP switch on main PC board can bring advanced feature and special function such as pre flow control, synergic operation control, arc start at low current, generator control, energy saving control, wire feeder option and so on, which improves flexibilities of usage greatly. DURAWELD™ can be matched with LWF™-22, LWF™-24 Plus wire feeders of Lincoln Electric.